This morning when I woke up, I had no idea who today’s pie recipient would be. As we went for our walk I considered different people, and while they were all good candidates, I felt that I needed to keep thinking about it. 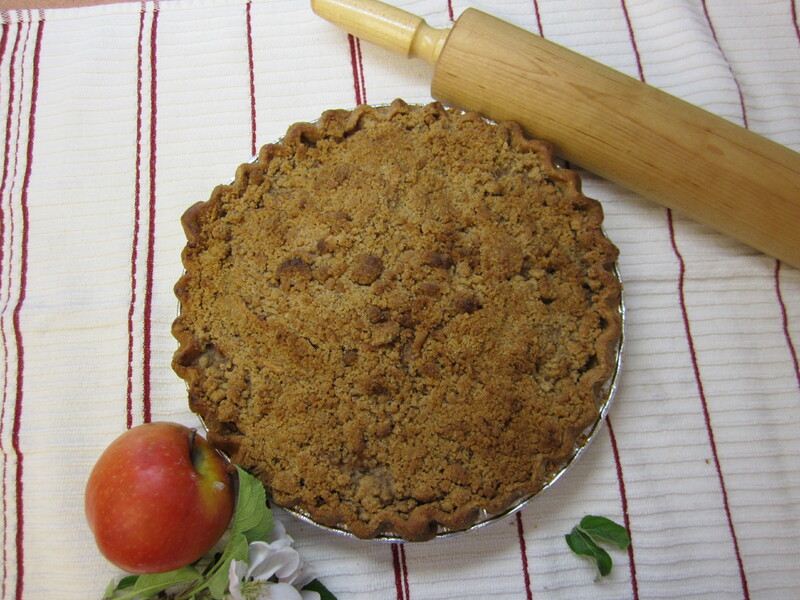 When we got back from our walk I just began to bake a pie and knew that the “person” would come to me somehow or other. 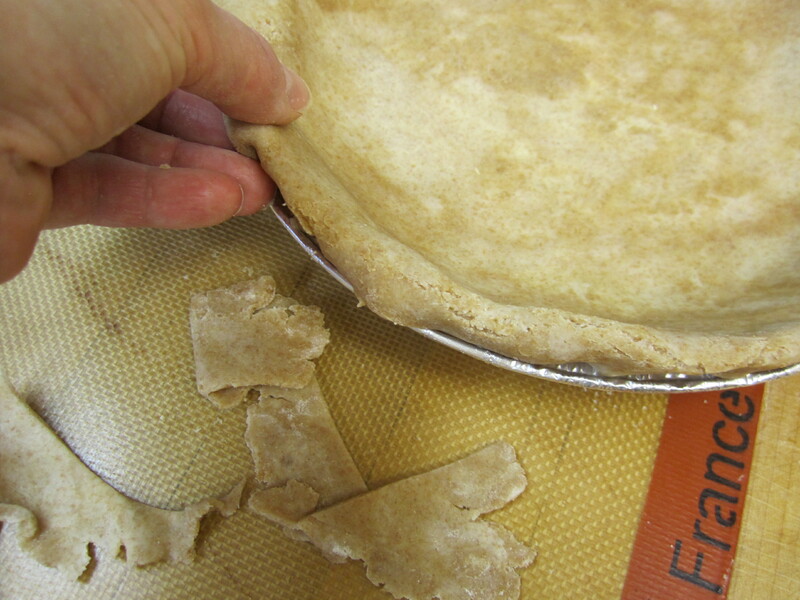 I decided to focus instead on the process of making the pie for in a way it is a kind of meditational “practice” for me. 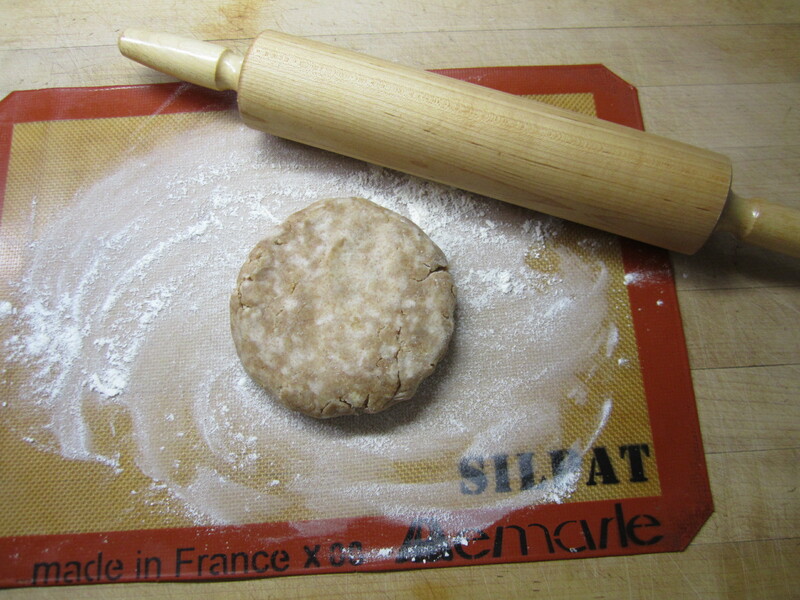 First, I take my dough (I am making pie dough in batches so that I only need to make a batch once a week) and my silpat and my rolling pin. 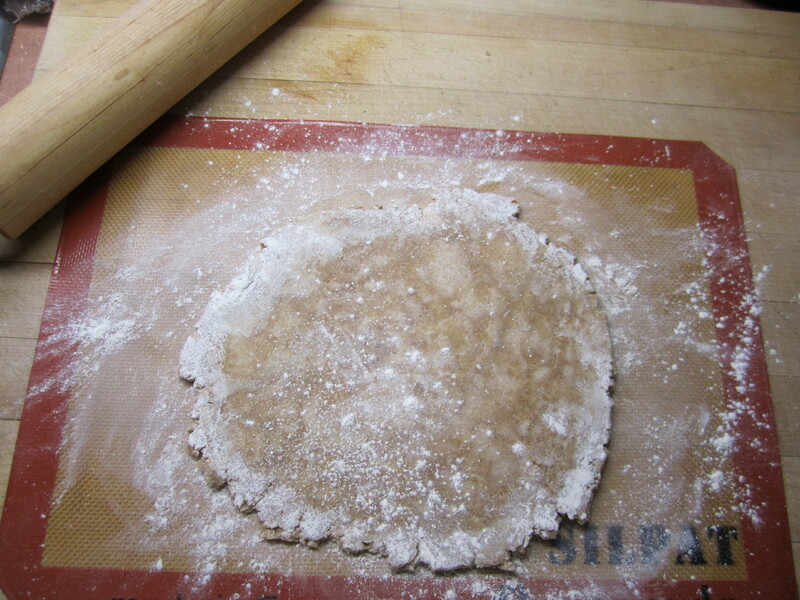 Then I begin to roll out the dough. 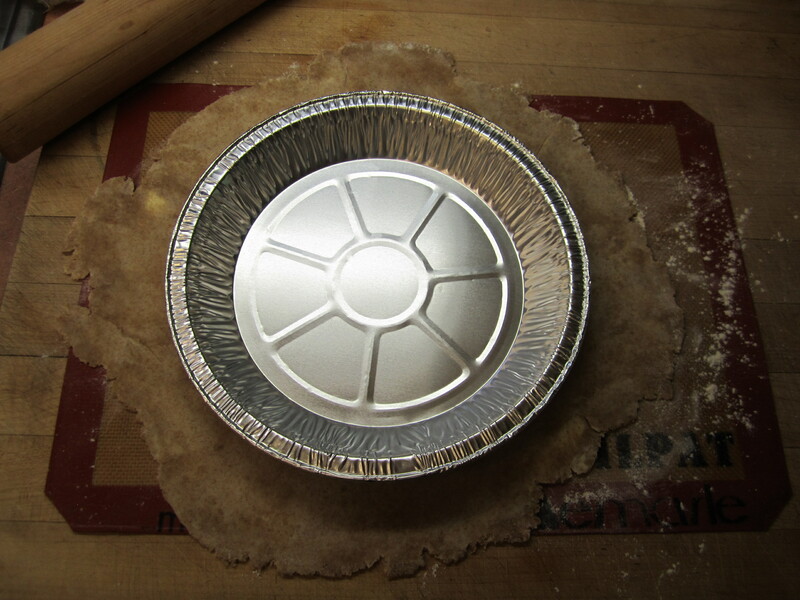 The dough is tender and so I handle it gently, and continue rolling it out until it is large enough for the pie pan. 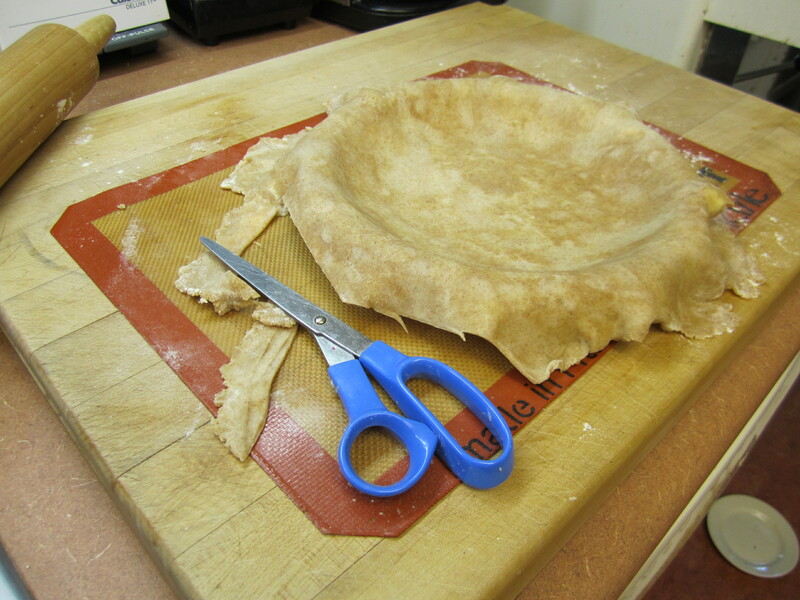 Next, I trim the dough so that there is just enough of an edge to fold under. When the edge is folded, it is then time to make it look pretty. It is easy for me to do this because over the years I have made hundreds ( perhaps thousands?) of pies. Think about the things that you do easily today. Perhaps they weren’t always easy but because you wanted to know how to do them, they became easy because you practiced them over and over again. That’s what it has been like for me with baking – I became good at it because I did it all the time. Today after I made this pie (Apple Walnut) I knew that the recipient had to be someone special because it was a beautiful pie. And almost immediately I knew who the recipient would be. I called Lee to see if she was still in town because each spring she goes to Alaska to fish and I was worried that I might have missed her. Well, I was lucky – she wasn’t leaving for three days! Lee was my son’s kindergarden teacher at Helman Elementary. She came to our house before school started in 1998 to meet us and my son. He was a bit shy but seemed to like her right away. That year Lee had 15 boys and 5 girls in her class. I couldn’t imagine how I would handle all those energetic children, and Lee did it with a quiet grace. I never heard her raise her voice and loved how she kept their attention. Maybe it was her New England accent, her sense of wonder, or her gentleness – I don’t know – but my son was very fond of Miss Lee. At the end of the that year, after Miss Lee had gone to Alaska, I was shopping with my son and he saw a guitar shaped brooch and told me that we needed to buy it for Miss Lee because she played the guitar. I told him that she was already gone for the summer. He told me that he could give it to her when school began again in the Fall. I was impressed that he thought enough of Lee to want this pin for her and so I bought it. My son kept the pin in his bureau until school started and he brought it to Lee on his first day back to school. She was delighted with the pin and wore it often. And each time she did so, she would make sure to point it out to my son. I don’t know who felt more special – Lee for getting the gift or my son for giving it. It was wonderful to visit with Lee today and hear about her family and their tradition of fishing which has been going on for many decades. She showed me pictures of her family and shared with me some of her history. As I was leaving, she told me that I had made her day by giving her the pie. It doesn’t seem like much at all because she made my son’s first year of school so very special. 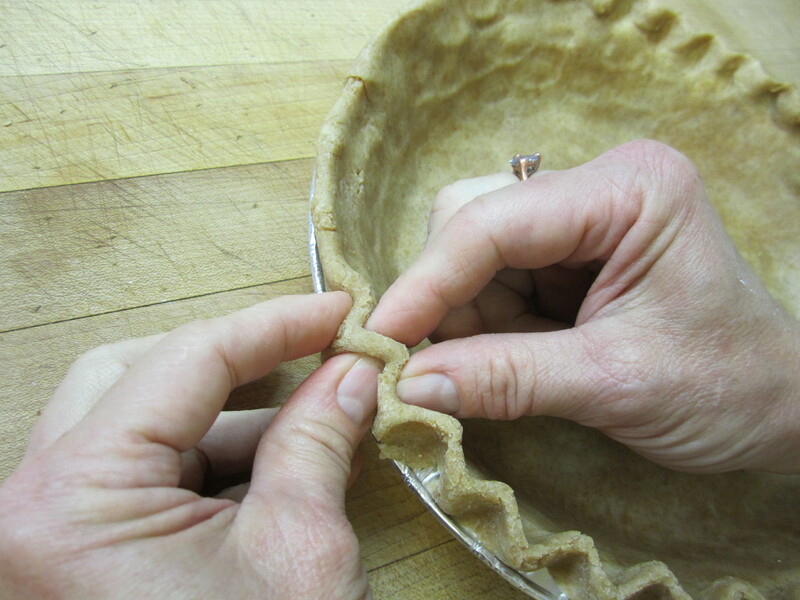 I loved your description of the care, love and tenderness you put into your pie crust. It truly was a gift of love to Miss Lee. Teachers make such an impact on the life of a child. Wow Karen, I love your step-by-step photos and new banner! !